Repairing the propeller on a boat is a simple process. You can do these repairs on your own, but you must ensure that each step in the process is handled with the greatest care. Repair your propeller using the process listed in this article. There are several steps in the repair process, and each one will help you complete the work correctly, safely, and without wasting time. Your boat must be mounted in a dry area that elevates the propeller to eye level. You must have easy access to the propeller when the repair begins, and the mounting must be as stable as possible. 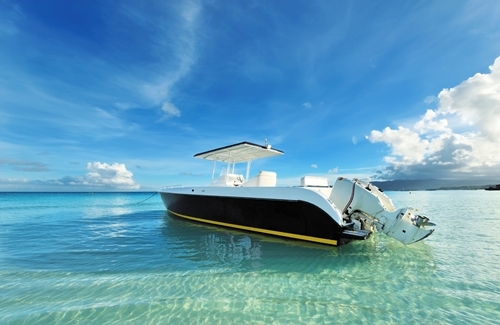 Ensure that your boat mount is the proper match for your boat. The power on the boat must be shut off completely before you begin your work. You may test the propeller after the repair, but you cannot risk running the propeller while the boat is mounted. You risk serious injury if you are working on a propeller that is still connected to a power source. Removing the battery leads and disconnecting wiring from the propeller will help protect you. You cannot repair the propeller until you have removed it completely. The propeller has many small parts that hold it to the boat, and you must remove each piece before taking the blades off the boat. The blades are heavier than you may think, and you must have a safe place to rest them when after removing the propeller. Check each part of the blade for a problem—even the smallest part could cause a malfunction. The blades may be broken, bent, or dented. These problems may be repaired once the propeller is off the boat and it is possible the blades can be replaced. The wiring that connects to the propeller must be removed completely for a test. You can have the wiring tested with a simple voltmeter, or you can check the wires for fraying. Frayed wires will not provide you with a consistent connection, and you must replace all wires that are damaged. The wiring on your boat is easier to access once you have removed the propellers, and you should check the wires as they make their way into the boat. Your boat sits in water that could damage the wires at any time, and you must keep the wires in good shape if you want the propellers to work. 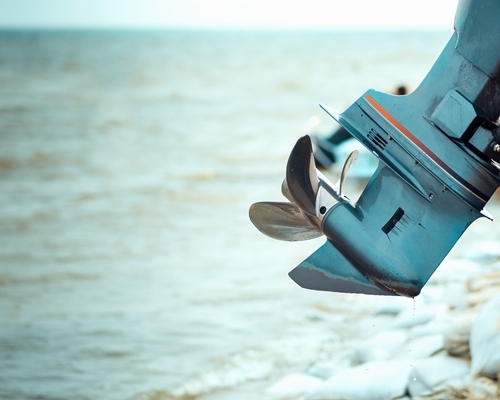 The motor that connects to your propeller must also be in good condition if you want the boat to run well, and you may perceive problems with the motor as problems with the propeller. You can run the motor with the propeller detached, and the motor will reveal its issues if they exist. You can avoid an expensive repair to the propeller with a simple repair to the motor. Boat propeller repair is not complete until you have tested the repair you have done. You must completely attach the propeller to the boat before testing, and you should not connect the power to the boat until the propeller is completely installed. A simple test of your propeller will reveal the success of the repair, and you may need to remove the propeller again to continue the repair job. Experience with boats will help you learn when the repairs are complete, but you must not waste your time replacing the propeller every few minutes when you think you are done with the work. You know when your boat is no longer working as you believe it should, and you must attempt to replace the propeller when you know it cannot be repaired. There comes a time when the propeller is no longer functional, and you must give up on the propeller when it is badly damaged. Replacements for your propellers must match your boat perfectly. Purchase the same propeller you have now, and replace the propeller in the same way you would replace your existing propeller. There are many ways to repair your own propellers, but there are times when the propellers no longer do what they should. Spend your time and money on a repair up to the point you know a replacement is necessary. Every boat propeller repair must be completed using the steps listed in this article. You will keep yourself safe by using the precautions in this article, and you can care for your boat easily using this procedure. Do not stop using your boat because the propellers are not functioning well. You have the power to complete your own repairs without the need for a mechanic.